Love white beans? See how to make them three delicious ways with three different recipes — featuring Camellia Brand Great Northern Beans. 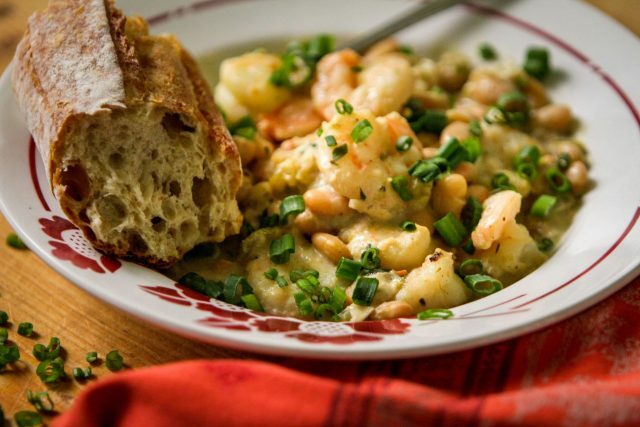 These hearty dishes — White Bean & Spinach Soup, South Louisiana-Style White Beans & Rice, and Cafe Reconcile’s White Beans and Shrimp — showcase the versatility of white beans and offer up great flavor and variety. Try them all, and see which one you and your family like best. Prefer Camellia Brand Navy (Pea) Beans? Feel free to substitute them – you’ll still end up with great taste. 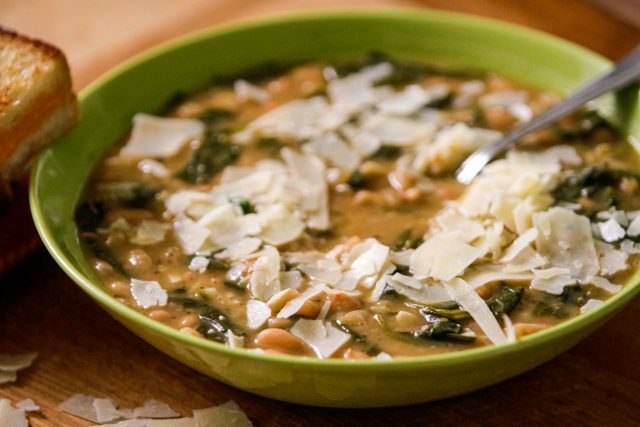 With a base of onion, celery, garlic, and veggie broth, this soup features creamy Great Northern beans that are known for their nutty flavor and firm flesh. Fresh sprigs of thyme and rosemary are what makes the soup fragrant, while wilted leafy greens add a pop of color — as well as lots of vitamins and minerals. Topped off with lemon juice for brightness, this soup is a meatless meal that really satisfies. A local and regional dish that’s almost as beloved as New Orleans Red Beans & Rice is South Louisiana-Style White Beans & Rice. 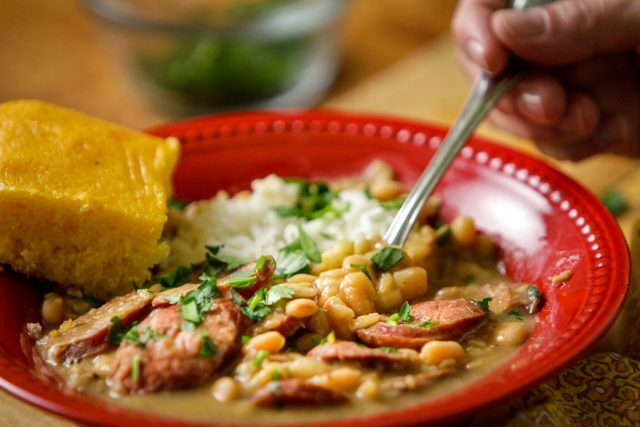 Typically made with Great Northern beans or Navy beans, the trinity, and either smoked or Andouille sausage, this quintessential dish is similar to the way many people prepare their red beans. Mash the beans against the side of the pot for creaminess, stir in chopped fresh parsley and chopped green onions, and they might just give your red beans & rice a run for their money. This favorite recipe comes to us courtesy of Cafe Reconcile – a nonprofit restaurant in New Orleans which serves as the primary training ground for students seeking to acquire skills in the food service industry. Featuring soul-filled local dishes like this one that’s the Daily Special on Thursdays, Café Reconcile is a destination lunch spot for New Orleanians as well as visitors from across the country. Featuring the trinity, Great Northern beans, fresh shrimp, heavy cream and ample seasonings, this dish is a real crowd-pleaser.